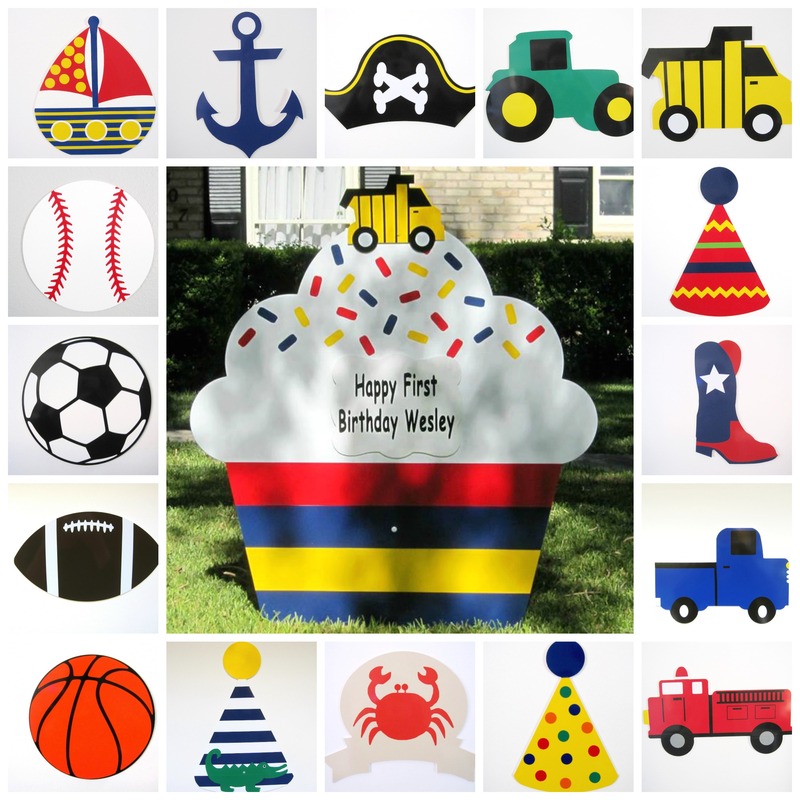 Celebrate the birthday of a special boy with our Summer Fun giant cupcake sign! Our yard signs come with your choice of topper & a personalized plaque. 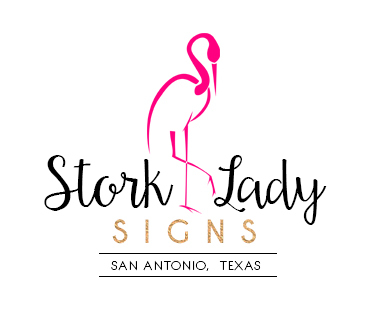 Stork Lady Signs proudly delivers 6-foot stork lawn signs to celebrate the birth of your new baby or grandchild in the greater San Antonio, Texas area. We also have custom cupcake and flamingo yard signs to celebrate your favorite birthday boy or girl. Please call us at 210-601-7351 for more information or to book your stork or birthday sign.